We know how important it is that you keep moving. Thats why we offer a free courtesy car if you need one. We pride ourselves on having a high level of workmanship and always offering honest advice in the best interest of our customers. Whether it’s for winter time or a summer holiday journey, we can offer you a free health check to make sure your vehicle is roadworthy and safe. As a member of the Retail Motor Industry, Independent Garage Association and National Association of Bodyshops, all work is carried out to industry standards. All Makes from Budget to Premium at competitive prices. 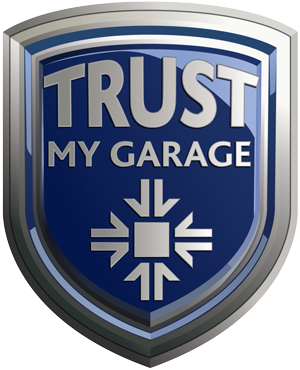 A friendly local garage, established in 1982 that provides a reliable, competitive and quality service time after time. CSC can provide all your vehicle needs from services to accident repairs, in our fully equipped workshops with the latest diagnostics and equipment. All mechanical repairs are carried out to the highest standard and our bodyshop always provides a manufactures finish to keep your vehicles residual value. Give us a call on 01954 210 248 for expert advice and to schedule your appointment or drop in to see us and we will be more then happy to assist. That’s it. Our expert mechanics will take care of the rest. You’ll be notified during the repair to ensure your always kept up to date on what’s going on with your repair. Quick service and i must admit very cheap compared to what i had been quoted from another local garage. I had an issue with my bonnet also and they fixed that for free. Thanks again guys much appreciated. I’ve been using these guys for the past couple of years and they have been absolutely brilliant. Offer good prices and a professional service and most of all they don’t try to rip you off, would recommend!